My KittiKubbi arrived last Friday from Twin Critters. 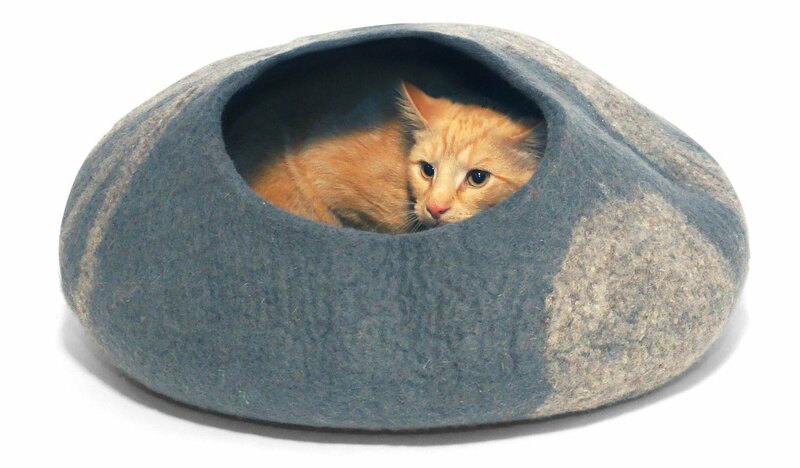 It’s a woolen cat bed hideout, handcrafted in Nepal by local artisans. It’s made without harsh chemicals or synthetic fabrics. I got mine in pebble grey and orange to match my five cats’ fur. Our cats are Brooklyn rescues. They came from a hard-scrabble existence. Some had parasites. Our tiniest cat lived in a burnt-out bus. One of them was found in a “Gentleman’s Club”. Now, of course, it’s all fluffy blankets, and cat food buffets forevermore. But how did my tough street cat crew take to the FAHHNCY and PLUSH KittiKubbi? At first, they were a little confused. Like it was a trick? Too nice, perhaps? 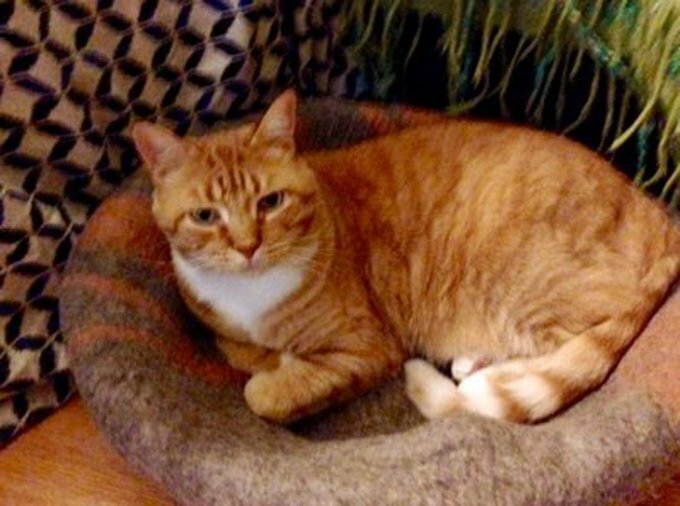 But then, after a few days, my big guy, Caramellow, sat on it. No, not in it. Just smushed the whole thing and had a seven hour nap all over it. After that, it became the most sought after snooze spot in my apartment. There were some disputes. They are still learning how to share! After Tiger had figured out the secret of the KittiKubbi, they all took turns hanging out inside. They’ve developed a taste for luxury, I guess. Time to break out the caviar! So far I have seen four of my cats at different times lounging around inside the KittiKubbi. But Caramellow still lies all over it. He’s the boss. 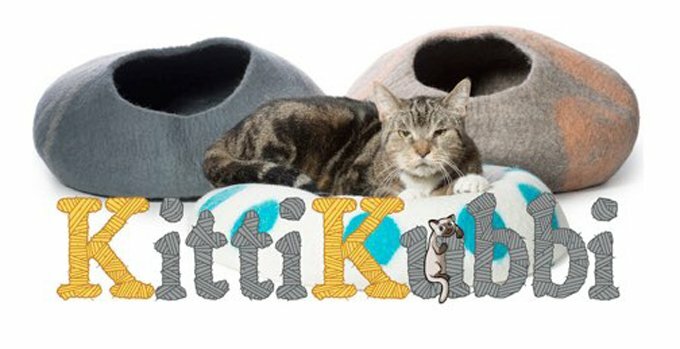 The KittiKubbis are for sale on Amazon. And Exciting news for CatTime readers, there is a promo code you can use on the Teal and White colored KittiKubbi. 25 % off! It’s a limited time offer, so act fast! Will get you the discount!